Over the past few years, Bitcoin has emerged as a brand-new method to send and receive payments online from anywhere in the world. Despite being a highly volatile and unpredictable cryptocurrency, Bitcoin today is not only the most convenient payment solution to execute international transactions but also is a great way to ensure you’re able to accept payments from just about anyone across the globe. Given that not all (or even many) online merchants are currently accepting Bitcoin, you may at first ignore the idea of accepting Bitcoin on your WordPress site. However, if you take into account that the Swiss government has recently started accepting Bitcoin for tax payments as well as many big eCommerce players like eBay and Amazon are soon going to start accepting Bitcoin and other cryptocurrencies, you’d definitely like to enable Bitcoin payments on your WordPress site. If you’re still not convinced, the following reasons will make it crystal clear as to how adding Bitcoin as a payment method on your WordPress site can prove advantageous to you. Why Should Your WordPress Site Accept Bitcoin Payments? 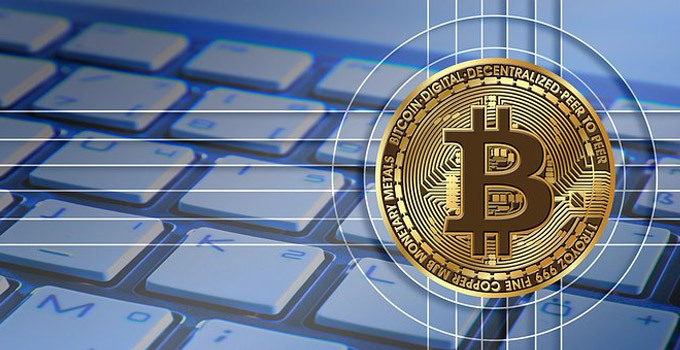 Bitcoin is a completely digital and decentralized currency that operates solely online and doesn’t require a third-party authentication system to process the transaction. It is a peer-to-peer digital currency organized with the help of a unique digital network called blockchain, which is essentially a digital ledger keeping a secure and anonymous record of all transactions. Unlike typical bank and international wire transfers, where the money is held for a certain period of time to ensure the authenticity of the sender, Bitcoin transactions are instantaneous and usually take a maximum of 10 minutes in rare circumstances. With Bitcoin, funds are transferred to the beneficiary’s account as soon as the payment is confirmed by the Bitcoin blockchain. While banks and other payment processors charge some kind of fee for payments and transfers, Bitcoin transactions are highly affordable as compared to these payment methods. A typical Bitcoin transaction costs anywhere between $0.50 and $1.00 – a much smaller processing fee than any kind of transaction. Since each Bitcoin comes with an extremely difficult-to-crack hexadecimal code, you don’t have to worry about any fraudulent activity in Bitcoin transactions. Also, there is no waiting period to get your funds transferred to your wallet or bank, which eliminates the possibility of fraud. Unlike regular credit/debit card and banking payments, which requires customers to enter personal information such as name, email, credit card number, expiry date, and CSV, Bitcoin payments don’t require any kind of personal or financial information to process the transaction. Also, Bitcoin’s multi-level encryption technology, SHA-256, ensures your funds are 100% safe. The instant nature of Bitcoin’s protocol makes it impossible for customers to reverse or cancel the transaction. That means if someone has sent you Bitcoins, he or she will not be able to get them back to their wallet unless you decide to manually send them back to the sender. Needless to say, this unique feature of Bitcoin keeps merchant safe from chargebacks. Since Bitcoin payments are totally peer-to-peer, both customers and merchants need not worry about having a compatible financial solution. As long as they have a digital wallet to store Bitcoins, they’re good to go. This is a win-win for both consumers and merchants who don’t use or accept particular credit or debit cards. Simplicity and ease of use are two main reasons why around 5.8 million people currently use cryptocurrency wallets. While the ‘pseudo-anonymous’ nature of Bitcoins gives buyers the full freedom to make payments without sharing any kind of personal information, it also opens sellers up to customers across all borders, especially in high crime rate countries and regions. That might sound you weird at first but since there is no risk of refunds, anyone would like to expand their business across the globe. Before the thought of accepting Bitcoin payments in WordPress comes to your mind, you must check if Bitcoins are legal in your country. Although the popularity of Bitcoins is growing day by day, they’re still not a legal tender in many countries. Look up this list to find out if they’re legal in your country. Let’s have a look at each of these in detail! This first and foremost requirement to accept Bitcoin payments on any website, whether it’s powered by WordPress or any other platform, is a Bitcoin wallet. A Bitcoin wallet is essentially a piece of software used to send, receive or store Bitcoins safely. Think of it as your digital bank account, which allows you to add and pull out funds from your WordPress site – the same place where Bitcoins are stored after a user completes a transaction. Given that a website is susceptible to hackers and downtime as well as it gives you less control over your funds, it is always wise to keep your hard-earned money somewhere more safe and convenient, and this is where the need of a Bitcoin Wallet actually comes into the picture. The seamless conversion from the cryptocurrency to the local currency is another great advantage of using a Bitcoin wallet. Edge Wallet: An easy to use and highly secure Bitcoin wallet! Copay Bitcoin Wallet: A secure, shared, HD‑multisignature Bitcoin Wallet from BitPay. Coinbase Mobile Bitcoin Wallet: An intuitive mobile Bitcoin wallet available for both iOS and Android platforms. BitPay Wallet: Built on the top of Copay platform, BitPay wallet integrates more tightly with BitPay-powered services. Bitcoin.com Wallet:A simple and secure digital wallet supporting both Bitcoin Cash and Bitcoin Core. A digital payment processor service not only allows you to accept Bitcoin payments on your WordPress site, but also it lets you convert Bitcoins to your native currency instantly. Although you can receive Bitcoins manually to your wallet by generating a unique Bitcoin payment address for each sale taking place on your site, a digital payment processor provides you a much easier, hassle-free way to accept Bitcoins on your site. In the simplest terms, it saves you from several cumbersome tasks like generating a bunch of Bitcoin addresses and then distributing them to customers, invoicing and billing, and manual conversion to your preferred currency. 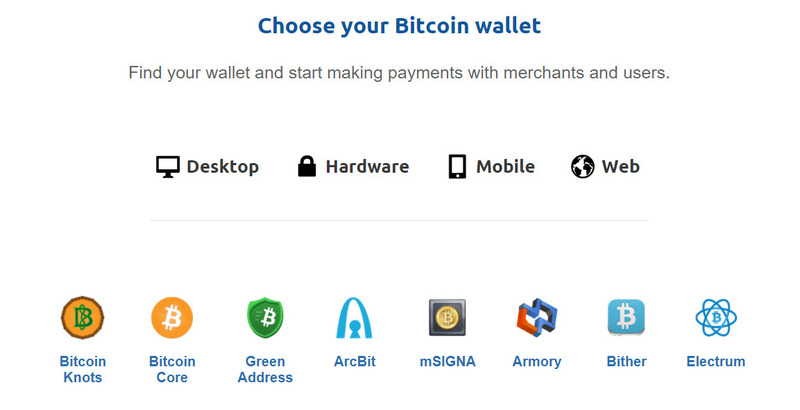 Bitpay: The most popular payment gateway to accept, store and spend bitcoin securely. Coinbase: A strong alternative to Bitpay to deal with Bitcoin, Ethereum, and Litecoin payments on your WordPress site. CoinGate: An extremely powerful payment processor to accept Bitcoin and over 50 other altcoins on your WordPress site. Mycelium Gear: The next generation payment processor designed to accept Bitcoin payments through highly- customizable widgets. Blockonomics: A decentralized and permission-less payment processing system to accept Bitcoin payments on a WooCommerce-powered store. GoUrl: A fully automated payment processing system to accept Bitcoin and other popular cryptocoins on your WordPress site. GoCoin: An easy to use payment processor to accept Bitcoin, Litecoin, and other blockchain currencies on WordPress and other eCommerce platforms such as Magento, Shopify, etc. One crucial thing to note here is that some Bitcoin payment processors, like Bitpay and CoinBase, come packed with a digital wallet to store your Bitcoins. Means, if you go with such payment processors, there is no need to create a separate Bitcoin wallet. Likewise, many other payment processors like Mollie directly deposit Bitcoin funds as equivalent to local currency into your preferred bank account – eliminating the need for having a Bitcoin wallet at all. BitPay for WooCommerce Plugin: The official plugin offered by BitPay to accept Bitcoin payments on a WooCommerce-powered WordPress site! Works only if you use WooCommerce and Bitpay is your payment processor service provider. Completely free to use! Coinbase Payment Gateway Add-on: WordPress websites using Easy Digital Downloads in combination with the Coinbase payment processor can use Coinbase Payment Gateway premium add-on to accept Bitcoins. Costs around $89 for a single website! CoinGate for WooCommerce Plug-in: You may prefer to use CoinGate over other payment processors as it allows you to accept payments in over 40 altcoins. To receive Bitcoin payments on your WooCommerce-powered online store via Coingate, you’ll need to install this free plugin. Mollie Payments for WooCommerce Plugin: If you have chosen the Mollie payment processor to accept Bitcoins on your WooCommerce-powered WordPress site, then this free plugin will be the right choice for you. Quickly integrates all major payment methods, including Bitcoin, PayPal, and Credit cards, with your WooCommerce store. GoURL Bitcoin Payment Plugin: A completely free yet feature-packed plugin offered by the popular cryptocurrency payment gateway GoUrl. Integrates seamlessly with multiple eCommerce platforms, including WooCommerce, Easy Digital Downloads, and Jigoshop, and allows you to accept Bitcoin and other similar altcoins. Blockonomics Bitcoin Payments Plugin: Another great free plugin to accept Bitcoin and other major altcoin payments on your WooCommerce-based online store! Supports all major wallets such as TREZOR, Blockchain.info, and Mycelium Wallet, and transfers coins directly to your digital wallet. Digital Paybox: A widely used premium WordPress plugin that makes use of Bitpay to accept Bitcoins! Supports multiple payment gateway platforms, including Authorize.net, PayPal, Payza, InterKassa, and Stripe, and is a perfect fit for selling digital products. Available on CodeCanyon marketplace for just $20! Cryptocurrency All-in-One: As the name itself explains, this is a multipurpose Cryptocurrency WordPress plugin with an added feature of accepting Bitcoin payments. A premium version of this plugin is also available with additional features like custom design themes and the ability to accept orders, payments, and donations in other altcoins such as Ethereum, Litecon, Monero, and Zcash.